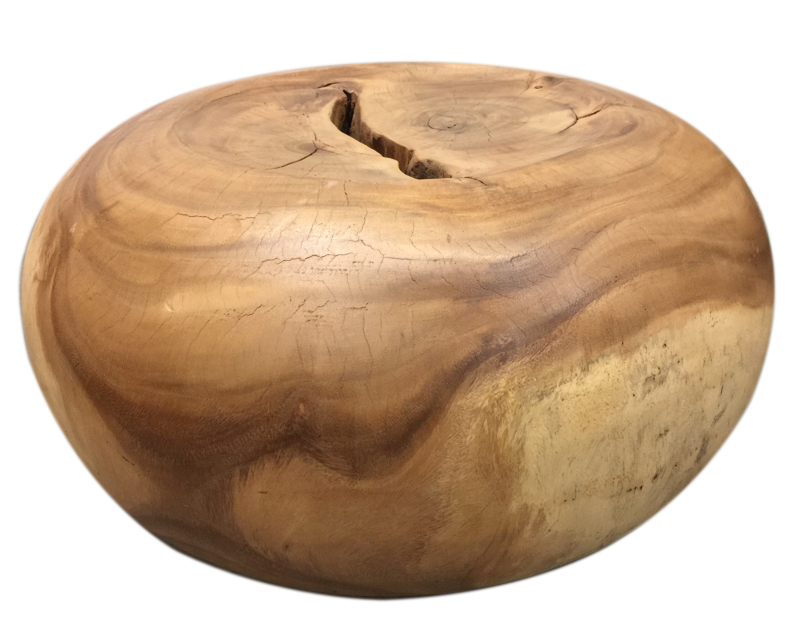 The Plump Exotic Wood Coffee Table can also be used as a seat. It measures 28" x 28" x 16" tall. It's made with tropical hardwood and each piece has its own unique wood tone and character. It's a heavy piece and you should be prepared to move it. W 28" / D 28" / H 16" / 145lb.